ACOR signed in November 2014 an agreement with USAID to implement the Sustainable Cultural Heritage through Engagement of Local Communities Project (SCHEP). 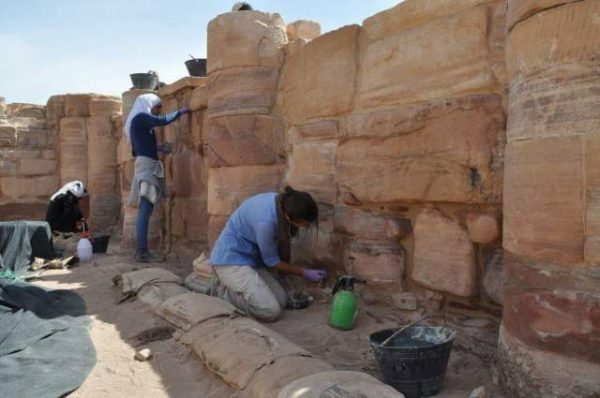 Learn more about this fascinating four-year project and its goal of directly engaging host communities in the management and preservation of Jordan’s important cultural heritage sites. The ACOR Library is an important resource for students and scholars in Jordan. It is one of a few public places in Amman offering access to the JSTOR online database of articles from over 1,000 scholarly journals. The library books do not circulate so plan your visit to allow time to take advantage of its many resources. To search the online catalog and review new online materials, visit the library website. The ACOR Library has grown over the years, often thanks to the gifts from scholars of their own publications, as well as the annual contributions to support the library and the Anne C. Ogilvy Memorial Library Endowment. From time to time, scholars bequest their personal collections to the ACOR Library after consulting with the Head Librarian Carmen Ayoubi. Please support the ACOR Library and contribute to scholarship in the Middle East. The ACOR Library hours are Saturdays, 9 am–4 pm and every weekday from Sunday until Thursday, 8 am–4 pm. Telephone +9626 534 6117 ext. 305. The ACOR Library is closed on Fridays and Jordanian public holidays. ACOR Associate Director Glenn J. Corbett discusses what the Wadi Hafir Petroglyph Survey has revealed about life in Jordan’s Wadi Ramm during the time of the Nabataeans. Copyright © 2015 ACOR, All rights reserved.